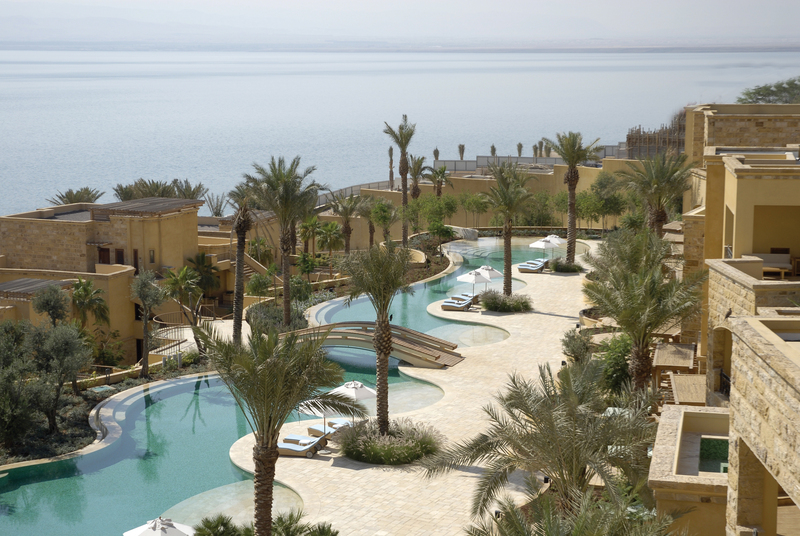 AMG delivers live CCTV for Dead Sea Resort in Jordan. AMG Systems has been contracted by Electrosec to supply its new innovative fiber optic transmission system Guardian-LiteTM 4700 for the security and surveillance system for Kempinski Hotel Ishtar Dead Sea. Featured in Condé Nast Traveler’s Hot List 2007 and cited as <?xml:namespace prefix = st1 ns = "urn:schemas-microsoft-com:office:smarttags" />Jordan’s ‘Resort of the Year’ in the 2006 Grumpy Gourmet Awards, Kempinski Hotel Ishtar Dead Sea is already being recognized as the premier resort destination in the region. The Dead Sea is not only the lowest point on earth (400m below sea level) and the biggest natural spa in the world; it also offers 330 days ultra-violet filtered sunshine, low humidity, warm climate, ozone-rich air, and mineral-loaded seawater. The destination is getting increasingly popular for spa treatments and general relaxation in a stress-free healthy atmosphere rich in materials. Electrosec is based in Jordan and specialized in design and supply of security, fire, CCTV, access control, audio visual, and home automation systems for the Middle East Region and Africa. The company was recently rewarded the contract for providing the Kempinski with a comprehensive state-of-the-art integrated security systems which includes live CCTV surveillance.